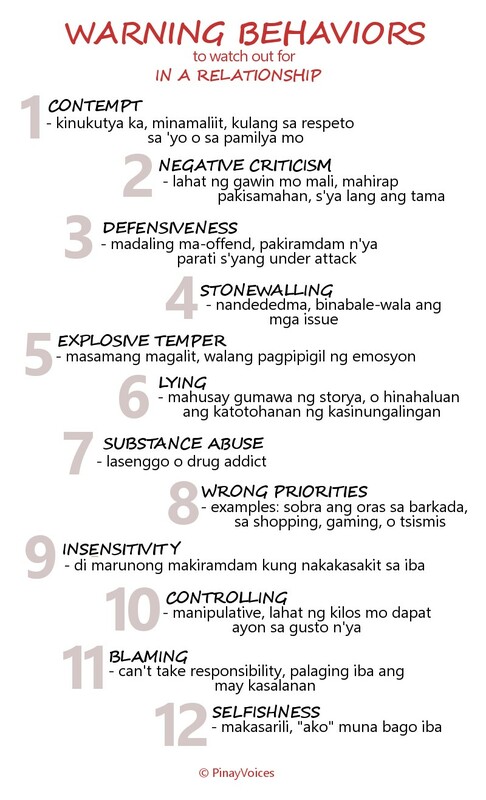 If you’re in a relationship and observe these behaviors constantly in your significant other, beware. It may be a sign this is not the spouse you’re looking for. It should go without saying, but if you’re planning on marriage, it’s best that you have enough time to get to know each other well. Some of these behaviors don’t surface right away. There will be a Part 2. Next PostIs Contraception Really What Filipinas Want?